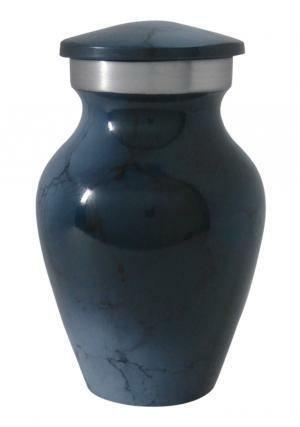 Dark Blue Mini Aluminium Keepsake Ashes Urn is made of high quality aluminium to preserve precious memories of love with ashes in it. 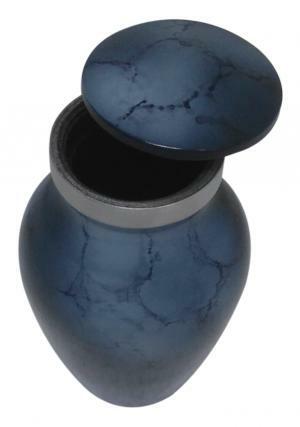 The beautiful aluminium keepsake urn is handmade and enameled smoothly in dark blue. 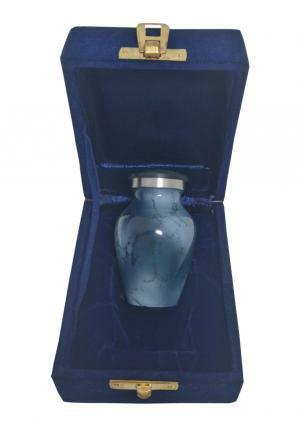 The neck of small keepsake urn for ashes is decorated in aluminium band with curved screw threadings and decorated lid secures the last remains of loved ashes for memories. 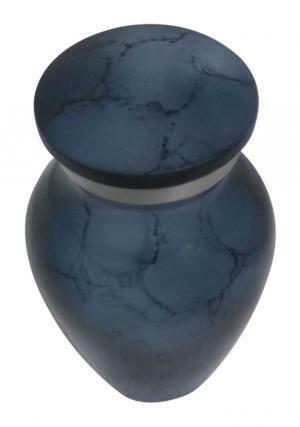 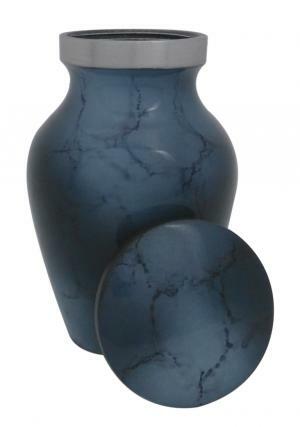 The Mini Marble Blue Keepsake Aluminium Ashes Urn carries 3 cubic inches of ashes space which is 3 inches tall with measured weight of 0.2 kg and 2 inches width.